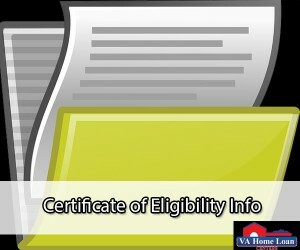 VA Home > News > What is a Certificate of Eligibility? The Certificate of Eligibility (COE) serves as proof to the lender that the veteran is eligible for a home loan. Even if the veteran receives a Certificate of Eligibility for a home loan, their income and credit must also be qualified. 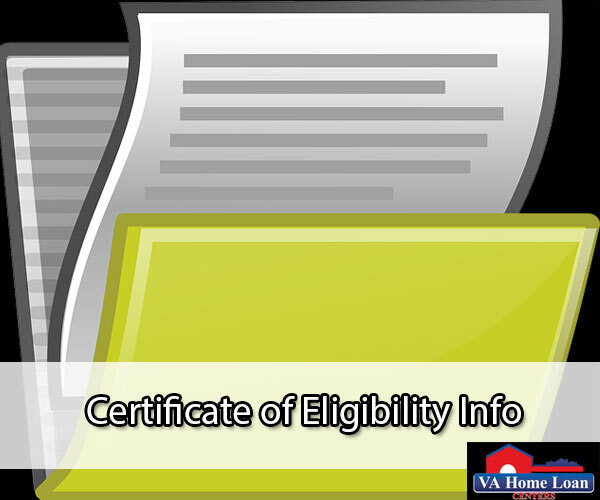 The VA home loan Certificate of Eligibility determines the entitlement that the veteran will receive. Basic entitlements are $36,000. This amount can vary if the veteran has used entitlement in the past. The Certificate of Eligibility will display the amount of the basic entitlement. The amount can be found in the center of the certificate. Additional entitlement can be made for certain loans. For example, loans more than $144,000 may be qualified for additional entitlement. Entitlements can vary, for example, for loans less than $417,000 but more than $144,000, the maximum entitlement would come to 25 percent of $417,000. Loans that are more than $417,000 have a maximum entitlement of 25 percent of the county limit. County limits for VA loans by state can be found here. These limits can change yearly. The Certificate of Eligibility will never display additional entitlement, even if the veteran has been qualified. Additional entitlement will be signified by an asterisk near the word “available” on the certificate. In the case that a veteran has used an entitlement in the past that has not been restored, the new entitlement will be reduced. In this situation, a veteran may either accept that their entitlement will be reduced or apply for restoration of the previously used entitlement. No matter what status is shown on the COE, conditions will be included. A “CONDITIONS” field can be found in the middle of the COE. EXEMPT status COEs will include an exemption of the Funding Fee based on the receipt of disability compensation. NON EXEMPT status COEs are not exempt from any funding fees, which could be based on a past receipt of a nonservice connected pension. The condition on CONTACT RLC status COEs will read: “Funding Fee – Please fax a copy of the 26-8937 to the RLC of jurisdiction.” For Interest Rate Reduction Refinancing Loans, the Funding Fee exemption status can be found in the webLGY. If you are interested in buying a home, start your VA loan application by clicking here.